It’s no secret that the UK is late to the table when it comes to full-fibre rollout. 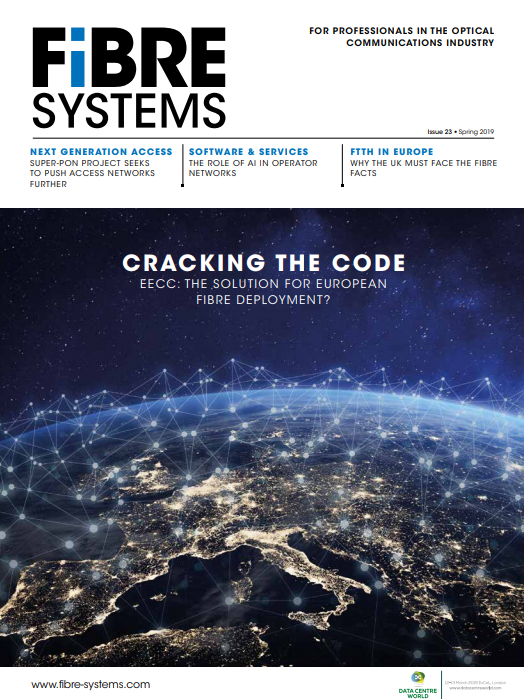 Government statistics suggest that, although deployment is improving, only four per cent of premises have a full-fibre link, compared to 79 per cent in Spain and 95 per cent in Portugal. And just last month, the UK slipped even further down the global broadband speed league table, lagging behind 25 other European countries. To steer us out of the digital slow lane, the government has pledged nationwide full fibre by 2033, and has hinted that a date be set for the ‘copper switch-off’, to enforce quicker deployment. With pressure being put on providers and regulators to make this a reality, this throws up some important questions about how full-fibre provision should be managed, to ensure not only that targets remain realistic, but that no one is left behind. To make full fibre a reality for all, we need investment and cooperation between the government and industry. There are some harsh realities the industry needs to face in order to support businesses on the road to becoming a full-fibre nation. The majority of the UK currently runs on fibre to-the-cabinet (FTTC) connections, which use fibre optic broadband up to local street cabinets, and the remaining connection runs over copper wire. FTTC is often a reliable solution which can provide businesses with the superfast speeds they need for the day-to-day, but the capacity to support growing business needs in the future is not always guaranteed. Fibre-to-the-premises (FTTP), on the other hand, utilises fibre optic cables for the entire connection, and can offer speeds of 1Gb/s – far beyond what FTTC could hope to realise. Having a gigabit-capable connection allows businesses to truly future-proof their organisations, and this is not just about performing the same old tasks quicker; ultrafast broadband can fundamentally change and improve the way they operate. 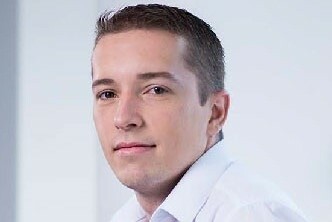 For example, having the infrastructure to support a full transition to the cloud comes with a myriad of benefits, whether that be seamless co-operation with colleagues on the other side of world, the ability to virtualise servers, or painless remote working with the likes of cloud-enabled Office 365 and VoIP technology. The increased speeds that FTTP allows can enable businesses to utilise new software that may not have been feasible in the past, uncovering newfound advantages and efficiencies, whilst being prepared for whatever may come in the future. Full fibre provision comes with its challenges. Right now, installation of FTTP is too expensive and too slow to deploy for many businesses to operate, which presents a huge barrier for many. This is where initiatives such as the government’s £67 million Gigabit Broadband Voucher Scheme, in which small and mediumsized businesses can claim up to £3,000 off the cost of upgrading to FTTP, are helping to make full fibre more accessible. Whilst such schemes contribute to the democratisation of fibre, FTTP deployment still requires huge investment. It might be easy for ISPs to call on more political support, but there are still some home truths providers need to face: they must be honest and practical about who will pick up the cost of full fibre without leaving the end-user with sky-high prices. Until this is established, consideration must be given as to how to support businesses’ connectivity requirements in the meantime. While full fibre is the gold standard that we are all undoubtedly striving for, the reality is that businesses, particularly in rural or hard to reach areas, are currently not receiving adequate speeds to successfully run their business day to day, let alone being equipped with gigabit-potential speeds. In fact, research by the British Chambers of Commerce revealed that 25 per cent of UK businesses don’t have access to reliable broadband in the first place, and firms in rural areas are at least twice as likely to have unreliable connections as those in towns, inner cities and suburban areas. While there is clearly a need for the country to catch up in fibre delivery, we must be wary of widening the connectivity divide that already exists, especially as high density, urban areas who can pay the most are being serviced with FTTP first. We cannot leave behind those businesses that are already being neglected, and we need to close the digital gap, while also pursuing nationwide full fibre. But how can we achieve this? It has been predicted that with the UK in the early stages of full-fibre rollout, compared to other countries already a long way ahead, the UK will likely slip further down the speed league table next year. And if we do reach nationwide full fibre status by the proposed 2033 target date, we still have 15 years to go. We therefore have to make the most of what we have, and maximise the existing copper infrastructure to provide fast, reliable FTTC connections for everybody, until FTTP is well within reach. For example, hybrid-fibre G.fast technology delivers ultrafast broadband over copper lines, offering comparable speeds to FTTP connections, without costly inconvenience and disruption to businesses. But Openreach decided to scale back its G.fast rollout to focus on FTTP deployment. With full fibre taking priority, this runs the risk of leaving rural areas in the broadband dark ages, while others steam ahead in connectivity. There is no question that full fibre is the future of broadband, but its provision and how this is handled presents a real balancing act. The elephant in the room is that, simply, cost remains a huge barrier for many. If the transition is not managed properly, we could be heading towards a greater connectivity divide than already exists. Providers have an obligation to help support businesses in between times, and equip them with the best possible speeds for all, right now, while aggressively pursuing FTTP status. Equally, the government must continue to implement initiatives to democratise full fibre access, to bring this within the reach of the many, rather than the select few.